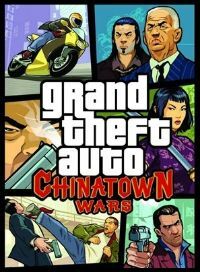 Here you will find all about the Grand Theft Auto Chinatown Wars cheats and codes on Playstation Portable (PSP). This cheat code for Grand Theft Auto Chinatown Wars on your PSP will give you full health and full armor again. With the cheat for the first weapons set you get the weapons: pistol, night stick, minigun, Assault Rifle, Micro SMG, Stubby Shotgun, Grenad.. The cheat for the second weapon set (packet) adds the weapons: Twin Pistols, teasers, Flamethrower, Carbine Rifle, SMG, Double-Barreled Shotgun and Molotovs .. The third weapons set contains the turret weapons, Chainsaw, Flamethrower, Carbine Rifle, SMG, Double-Barreled Shotgun and Trip Mines. The heavy weapons in the fourth weapon cheat - you weapon set makes the following Arsenal in GTA Chinatown Wars on the PSP are available: Tw..
With this cheat code in GTA Chinatown Wars you will increase your wanted level for the police, fib and armee. The very explosive bullets you can get easy with this cheat code. Here is the code for the exploding bullets. This cheat code makes stormy weather in Grand Theft Auto Chinatown Wars on your PSP (Playstation Portable). Also rainy weather you can get in GTA Chinatown Wars. Use this cheat code and you are a Rainmaker. Just let it heavy rain with this cheat code. You love cloudy weather in GTA Chinatown Wars? Then heare is the cheat code for it. Sunny weahter is not sunny enough for you, then here is the GTA Chinatown Wars cheat code for heavy sun.